At SOFI 64, we teach French and we love it! We also love Nature! 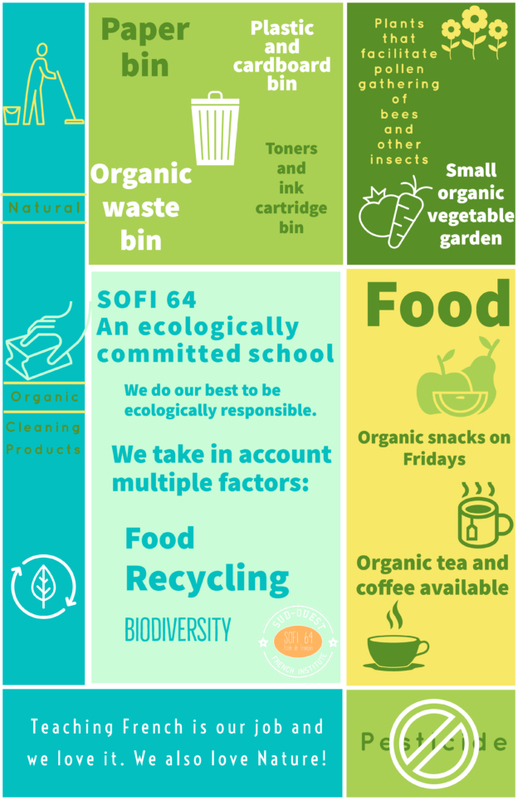 That’s why we do our best to be ecologically committed… We believe that small things can make a difference! In our kitchen, you won’t find no plastic cups or plates! CLEANING —-> Products we use to clean our premises are natural and organic. BIODIVERSITY —-> We tried to add as many plants and grass wherever we could to help bees and other insects feed and gather pollen: lavender, thym, rosemary, heather, sage, raspberry bushes, chives… and more to come! 🙂 Link to some of these plants here. VEGETABLES GARDEN —-> Our small vegetables garden is organic. For both our gardens, we do not use any pesticide at all. Nature does it best! 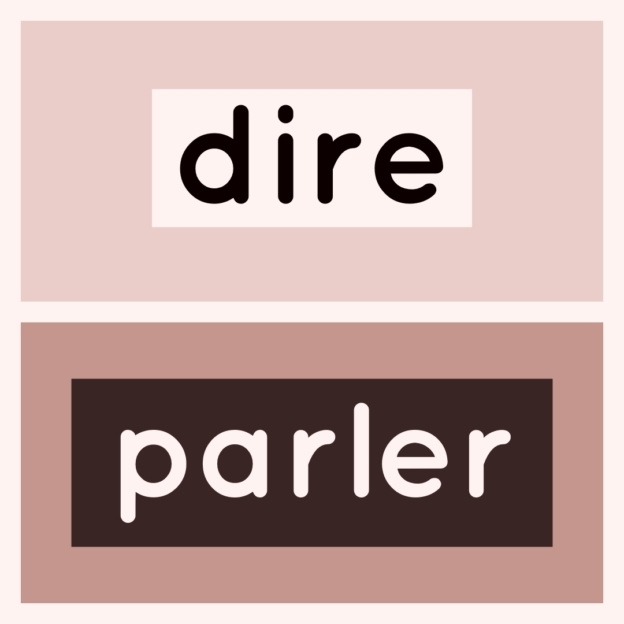 A guide to 6 French verbs … parler / dire / connaître / savoir / faire / jouer ! These two verbs are used in different situations. “La cliente dit au revoir au vendeur”. Attention: You cannot parler bonjour! Attention: You cannot say “Je connais que…“! When you play sports and want to talk about your sports activities, you have two possibilities, use the verb “faire” or the verb “jouer”. “Je fais du tennis, il fait du surf, nous faisons du golf, tu fais du rugby, elles font de l’équitation…”. The verb “jouer” is only used with ball sports… So it is possible to say “Je joue au tennis, au golf, au rugby, au frisbee, au badminton, au hockey…” but it is not possible to say “Je joue au surf…“. First week of October, we gathered all together after our French lesson and headed to the beach for a good beach clean up! 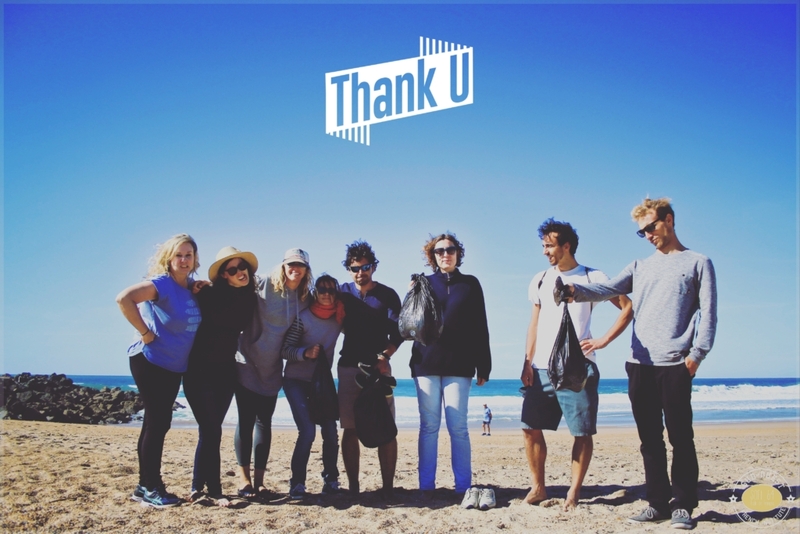 2 hours later, with 4 garbage bags full of plastic bits we can feel useful and happy to have contributed to maintaining our beach clean!